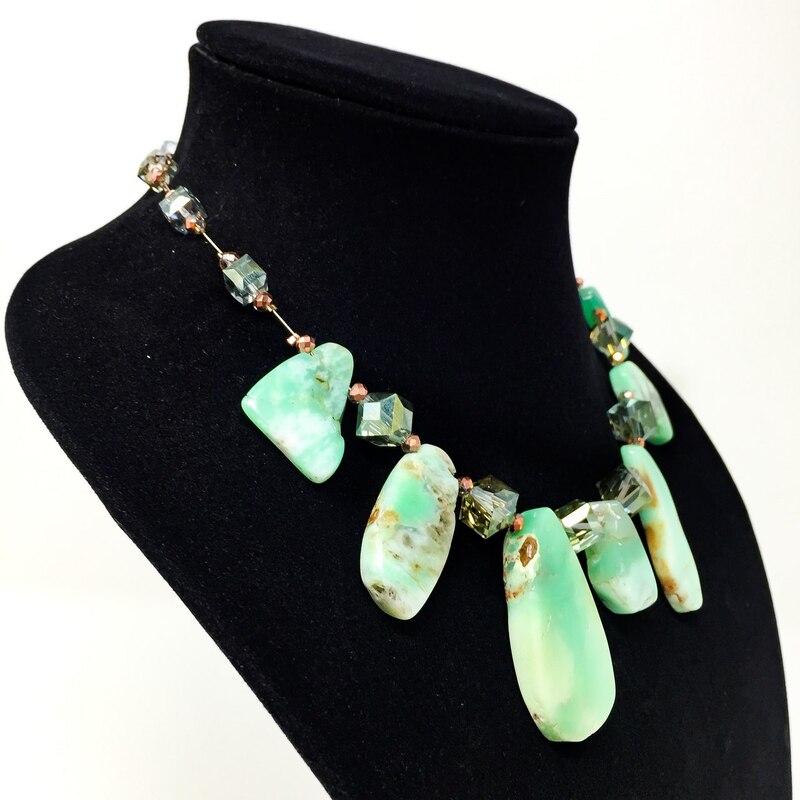 ENERGETIC PROPERTIES: Chrysoprase emits a powerful calming and soothing energy that feels like unconditional love. These stones bring joy and happiness while alleviating depression, anxiety, and stress. 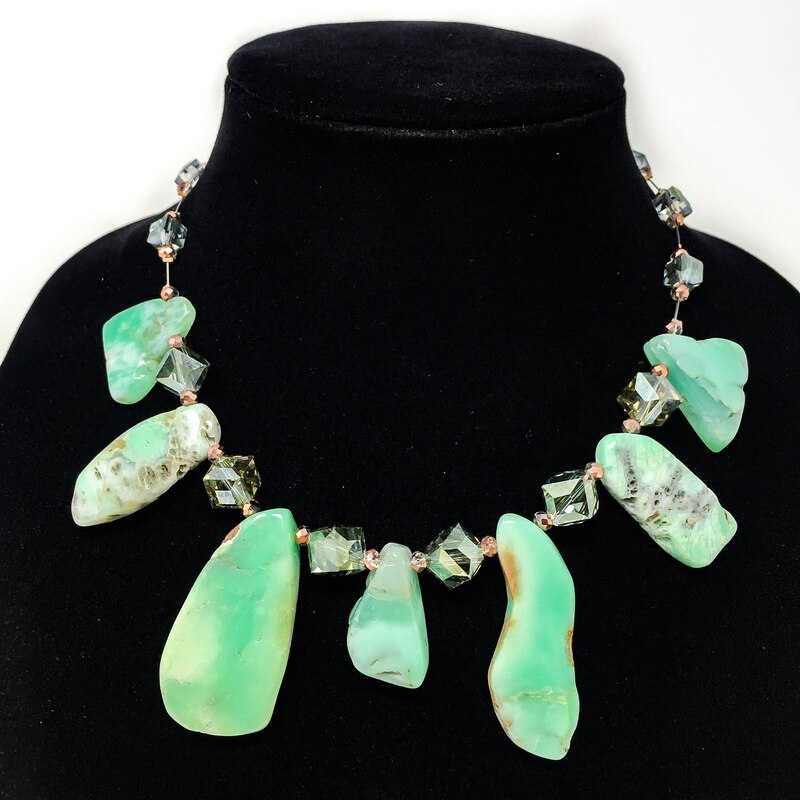 Chrysoprase brings your life and your heart into alignment. 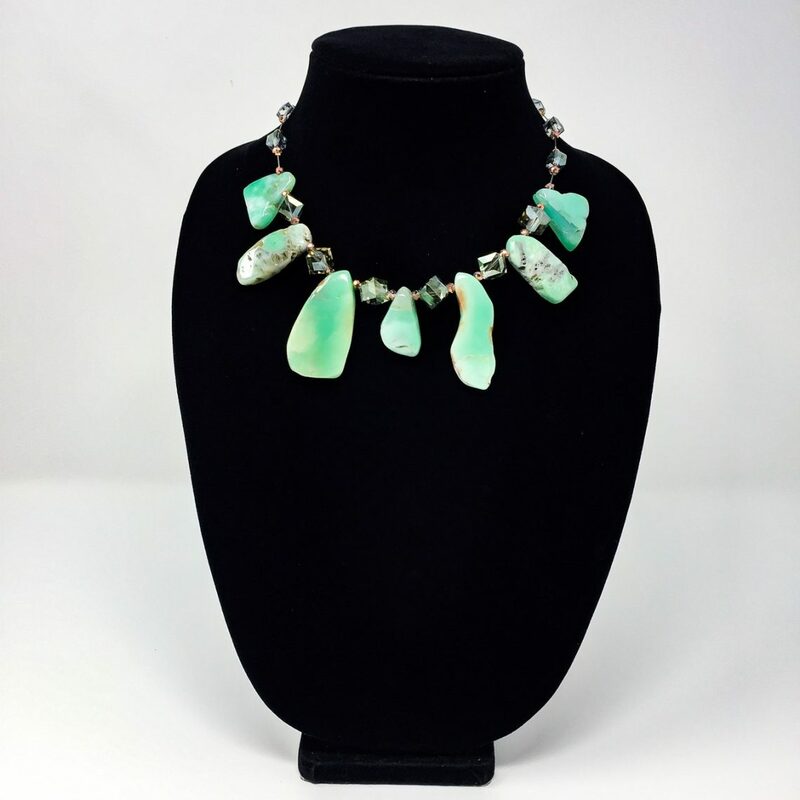 HISTORY: The Ancient Greeks believed Chrysoprase was the sacred stone of Aphrodite, the Goddess of Love, whose sacred color was also green. 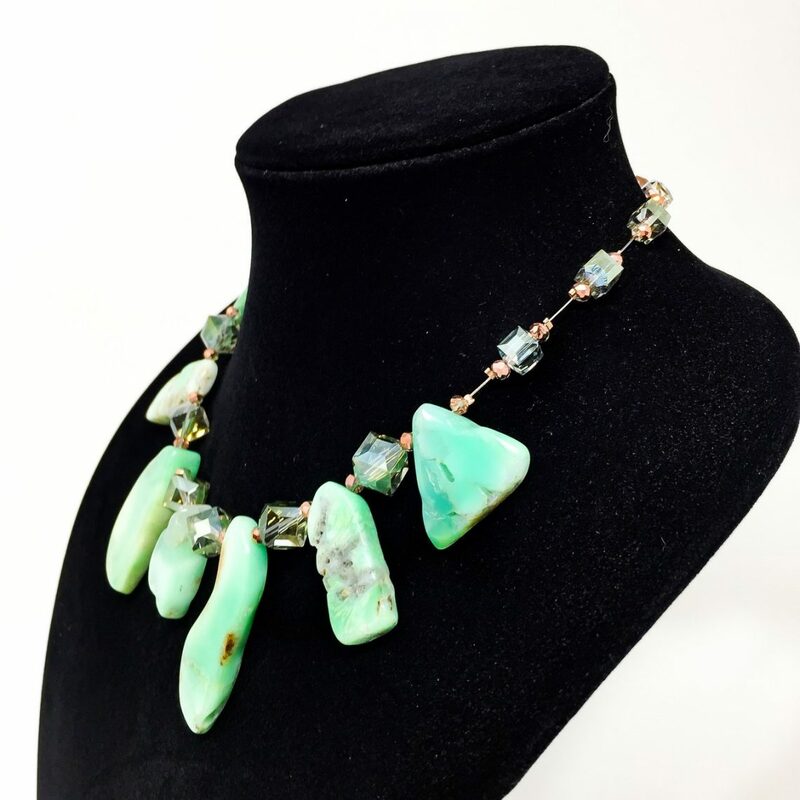 Alexander the Great attributed his great successes in battles to the Chrysoprase beaded girdle he wore. 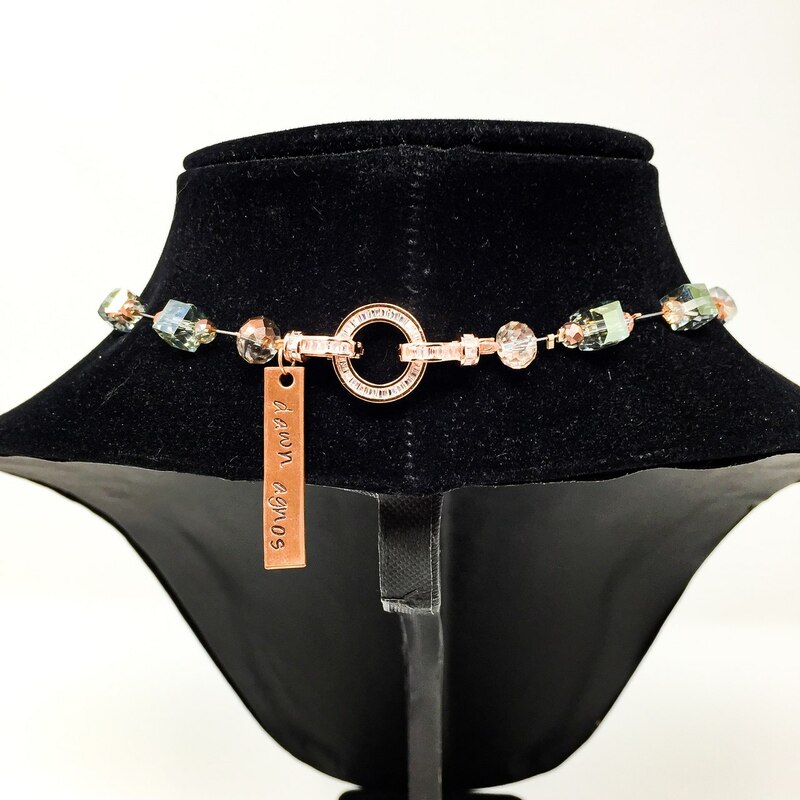 MATERIALS:This necklace features pendant stones of Chrysoprase crystals, adorned with Swarovski sea green crystals, Swarovski rose gold crystals, rose gold cubic zirconia clasp, and copper signature tag. Intuitively sourced and lovingly crafted by the hands of a genuine healer.